Obviously, the more sweet potatoes you roast, the more food you will have to save, and the more energy you will be saving by making a bunch of food at once. 1. Preheat oven to 400 deg F. Get your large glass baking dish ready. Grease it up if you like, though I don’t find it to be necessary. 2. 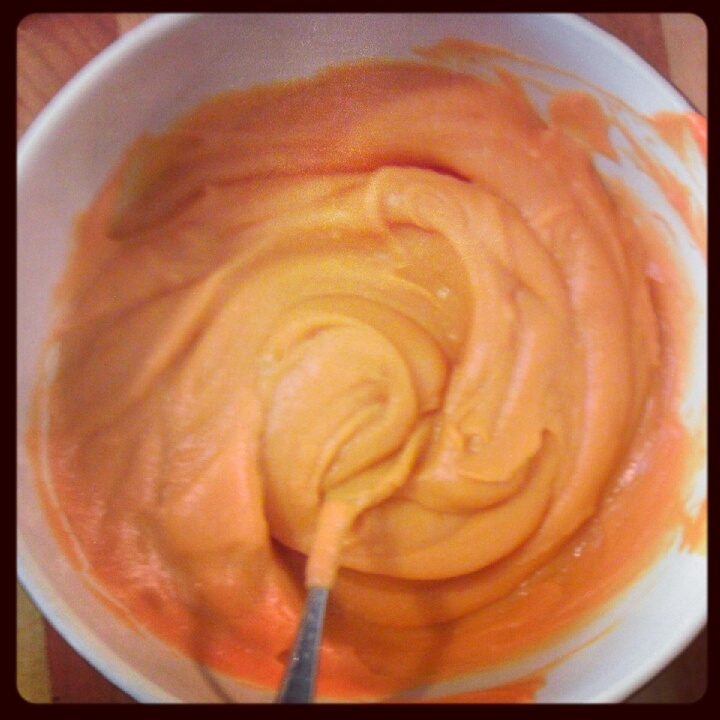 Poke your sweet potatoes! About 10 times all over each of them. Big fat ones work best. Rinse off if they are especially dirty. Make sure they look pretty and are a nice deep reddish-orange-brown and sometimes even purple color. You do not need to purchase organic, since the skin will be coming off, and pesticides do not penetrate the thick skin of sweet potatoes very easily, but I find that the quality of organic sweet potatoes tends to be better. They are also not usually that much more expensive. If you have a Costco membership, they usually have a 10 pound box of conventionally grown for $6-$7. 3. Bake at 400 degrees for 40 minutes in glass dish. 4. After 40 minutes, check on your spuds. Stick a fork into the fattest one, it should be really really soft and go through easily. If it’s still a little hard, flip them over and put back in the oven for 10-30 minutes. 5. 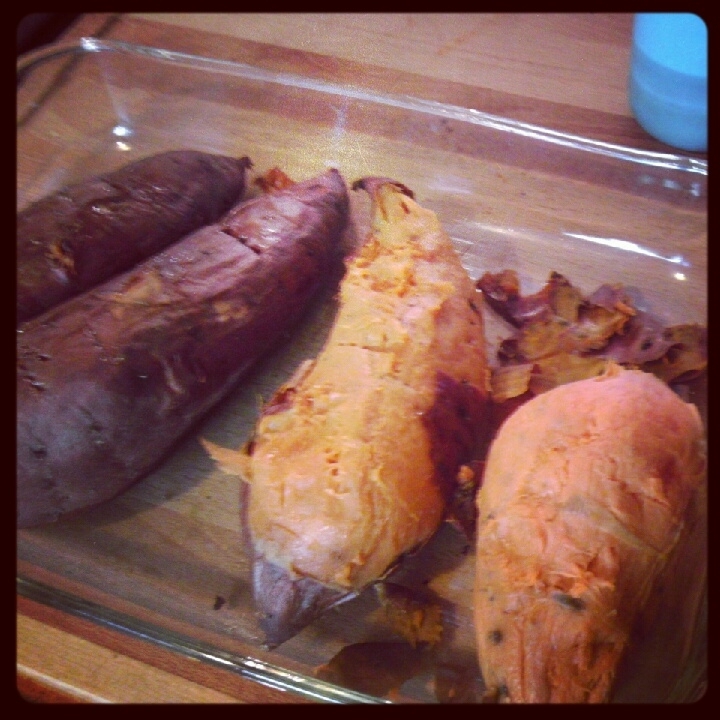 When the sweet potatoes are nice on soft, take them out of the oven, and leave on the counter in the dish, until cool. In other words, leave them on the counter until you forgot that you had roasted sweet potatoes for baby food, and several hours later when you come back to the kitchen, there they will be on your counter! 6. Peel the skins off. This will be soooo easy, you’ll wonder why you ever used a vegetable peeler to make roasted sweet potatoes. The skins slip right off, it’s magical. 7. Place 2 potatoes in blender at a time, and puree until very smooth. You will probably need to add about 1/2 cup of water. You can also add a little bit (like 1-2 Tbsp) of lemon juice, to keep it from browning. Feel free to add other stuff too, like apple, bananas, steamed carrots, roasted squash, etc. 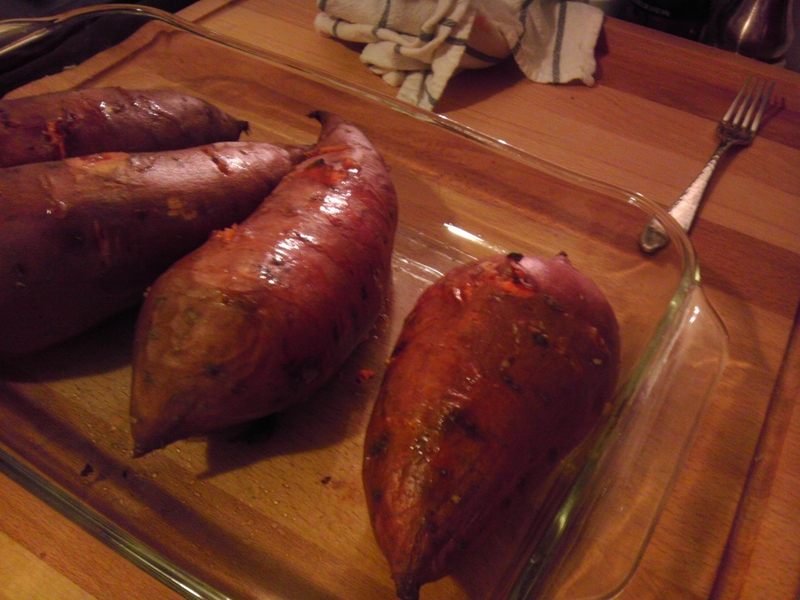 Obviously, the more sweet potatoes you roast, the more food you will have to save for future use, and the more energy you will be saving by making a bunch of food at once. It looks like you have attracted quite the respectable following these days.